How Do I Compare Home Security Systems? 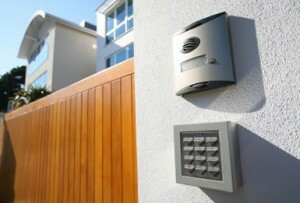 There are many different types of batteries for home security systems. The following articles describes some basic battery facts and will help you to choose the right batteries for your home security system. 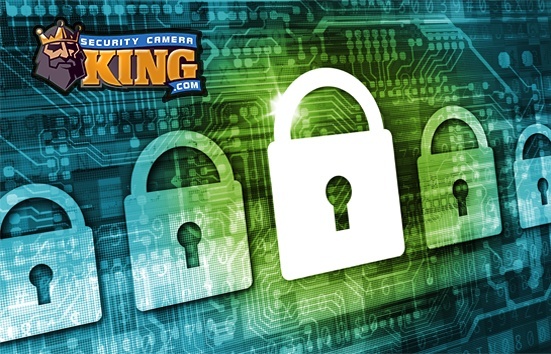 A typical “wired” security system consists of cameras, a Digital Video Recorder or DVR, and a monitor. The DVR and monitor normally operate off of normal house current and have standard Alternating Current (AC) cords and plugs. Standard digital video cameras however, operate on Direct Current (DC) and normally operate off a power distribution box, a plug-in transformer/adapter, and or batteries. The plug-in transformer plugs into a common household outlet and transforms the AC power into DC electricity and a reduced voltage (usually around 12 volts DC or less as compared to 115 volts AC) and a reduced amperage (ranging from 400 to 2400 milliamps (mA) or more DC as compared to 5 to 30 amps AC). A power line carrying the lower voltage DC power is run from the power distribution center (or plug-in transformer) to each camera. Some cameras, usually wireless types, allow the use of batteries for home security systems instead of power distribution centers or plug-in transformers. This eliminates the need to run a power line to the camera. If the camera is a wireless camera, this features makes the camera a truly wireless camera as there are no external wire connections needed for the camera. Batteries for home security systems come in a range of sizes and types. Some cameras utilize typical battery sizes such as AA, AAA, C, or D cells while others require the use of a “battery pack.” A battery pack is usually a certain number of rechargeable batteries that are connected to each other and are held together by a plastic heat-shrink wrap. Before you stock up on a great internet bulk sale of batteries, there are a few things that you need to know to make sure you purchase the right batteries so you do not destroy your cameras. First, your camera is rated to be powered by a certain number of Volts (V). The voltage of electricity can be thought of as the pressure of the electricity. Just like the pressure of water in a pipe determines how fast the water travels through the pipe, the voltage of electricity determines how fast the electrons travel through the camera’s electronic circuit. DO NOT attempt to use batteries that result in a different total voltage than what the camera specifies. When purchasing replacement batteries whether they are one-time use or rechargeable, the total voltage must be identical to that specified by the camera. (For example, if the original battery pack that came with the camera is 12 volts you must use a replacement battery pack that is 12 volts). The second rating for the batteries for home security systems is the Ampere or Amp Hour (Ah). The rating for camera batteries is usually very small so instead of Amp Hours it is more common to see milliampere hours or (mAh). The milliamp hour is one thousandth of an Ah. Where voltage is the pressure of electricity, the mAh is basically the strength or capacity of the battery. Normally, the greater the mAh rating of the battery, the longer it will provide electricity per charge. You should NOT use batteries with lower mAh ratings than specified by the camera manufacturer. You can use batteries with the same voltage but greater mAh to increase the run time of the camera between charges. Finally, if your camera uses a battery pack, be certain that you purchase the proper battery pack connector. These connectors vary between battery pack types and manufacturer so it is important to make sure that you have the right size and type connector that will match your camera. Using batteries for home security systems has it’s advantages and disadvantages. The biggest benefit of battery operated cameras is that there is no need to run any cable or wire to the camera which greatly reduces the installation time and cost. In addition, cameras may be mounted in strategic areas that offer the greatest possible surveillance that may not otherwise be possible if the camera required a power supply wire or transformer. The biggest disadvantage of using batteries for home security systems is that there is a limited run time before the battery “runs out” of current. There is also an added expense of purchasing replacement batteries as even rechargeable batteries do not last forever.